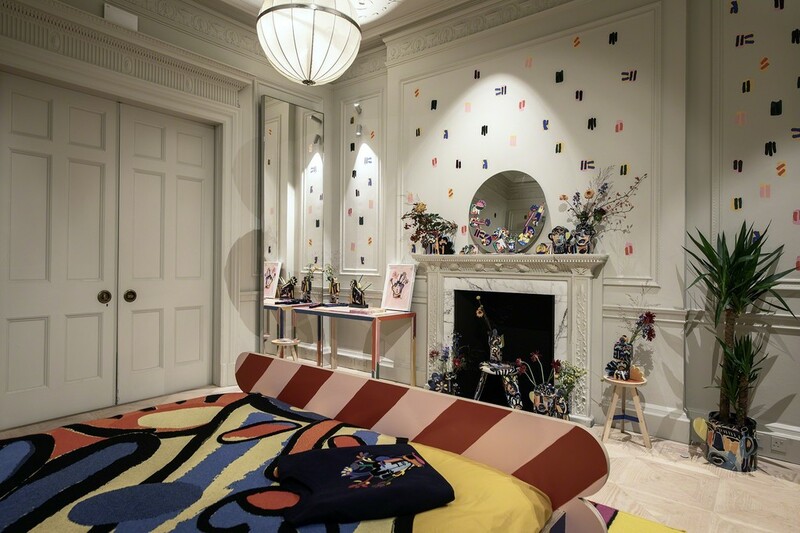 Hosted by Matches Fashion at 5 Carlos Place until 24 November, Booth has created an immersive installation of his dream teenage bedroom. 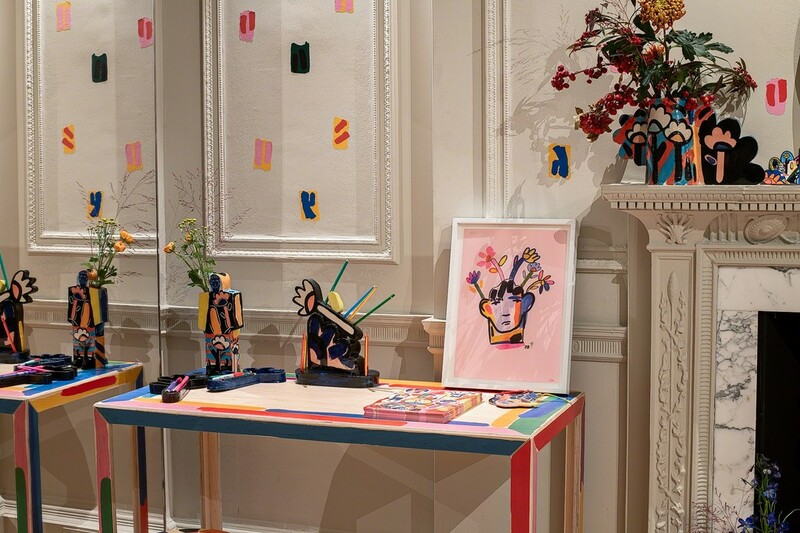 All items are available to purchase in-store or online. 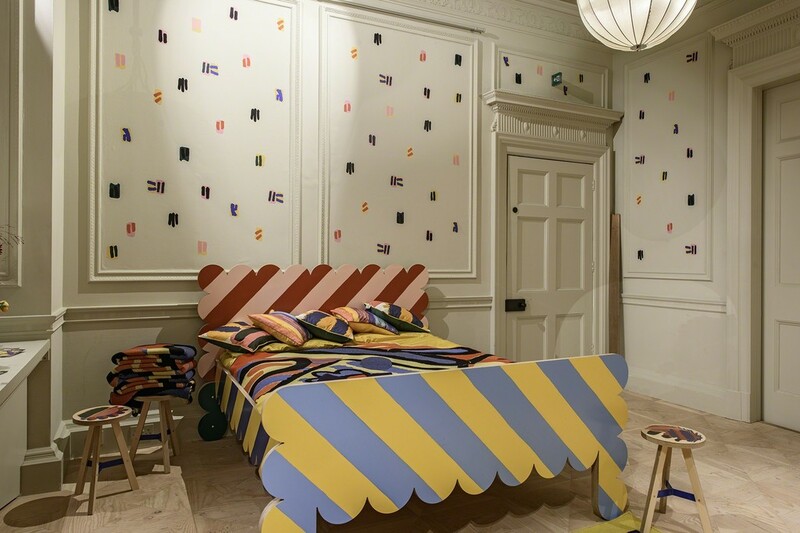 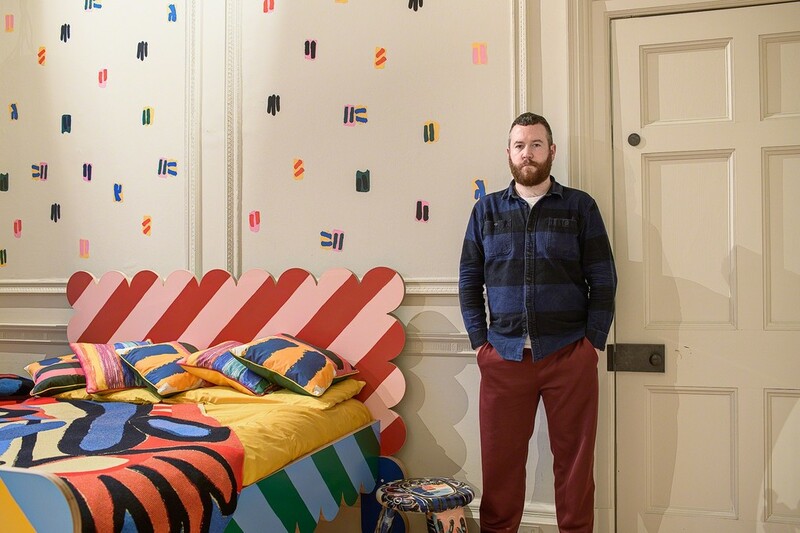 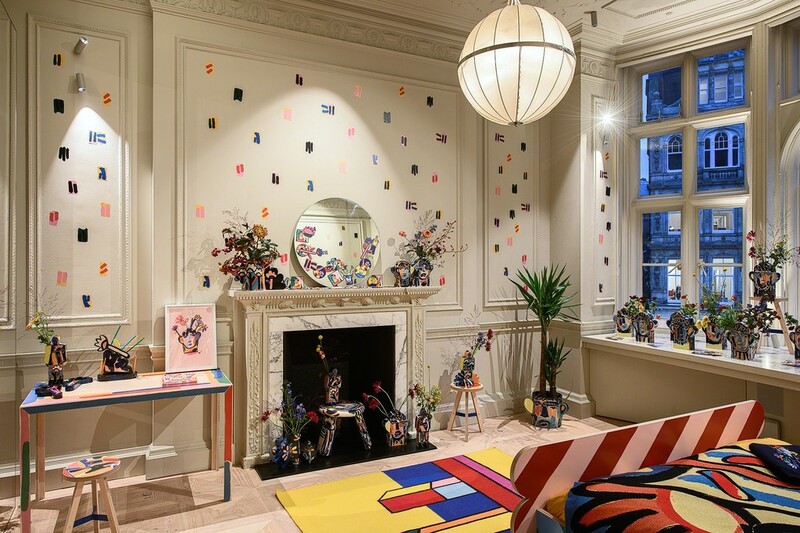 The Artist's Bedroom by John Booth for House of Voltaire at Matches Fashion, 5 Carlos Place Mayfair (6–24 November 2018). For this special project, Booth has created an immersive installation of his dream teenage bedroom. 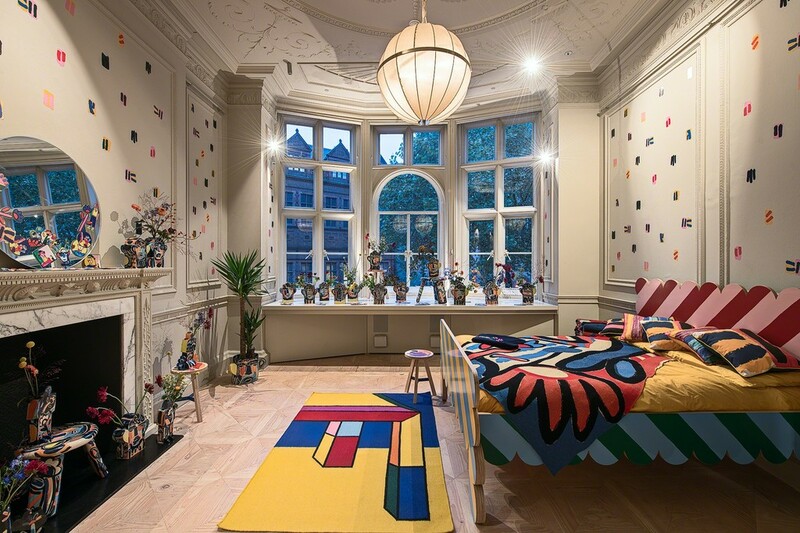 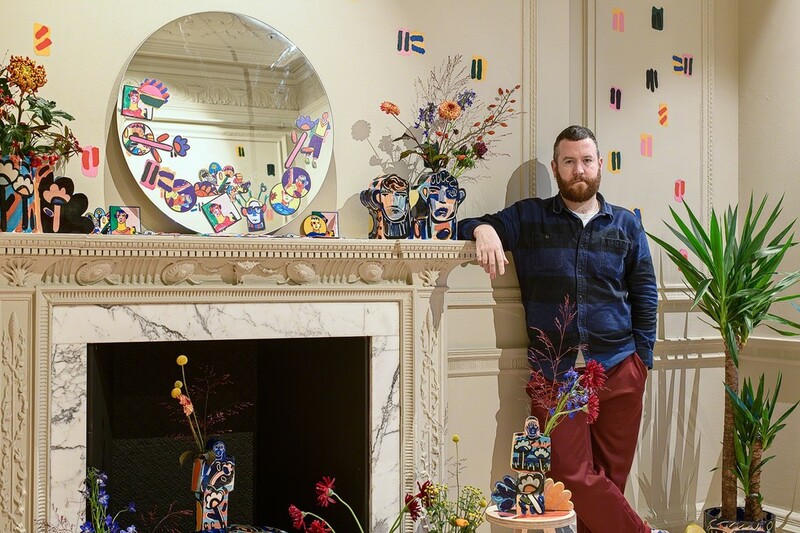 Everything is available to purchase: from the unique hand–painted bed, ceramic side tables, and portrait vases, to the limited edition woollen floor rugs, printed cushion covers and mirrors–you can even buy the embroidered sweatshirt draped over the artists' chair. 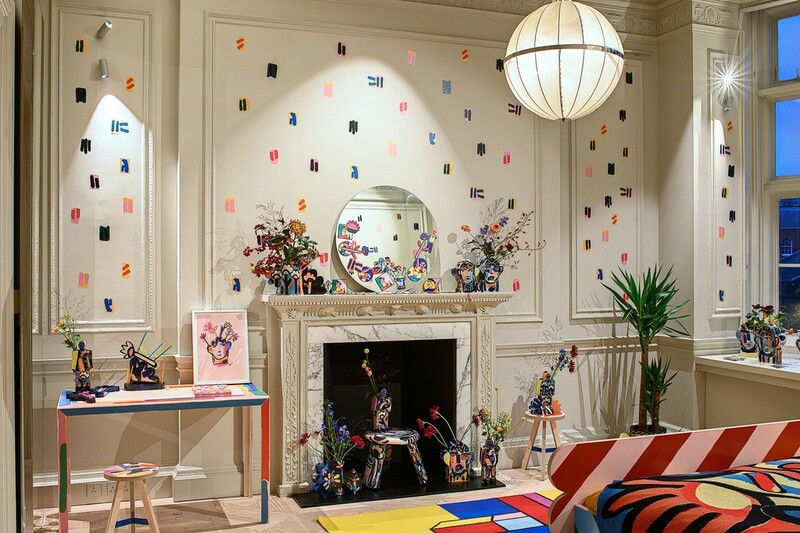 All sales support Studio Voltaire's innovative gallery and education programmes.